Do architects still put pen to paper? 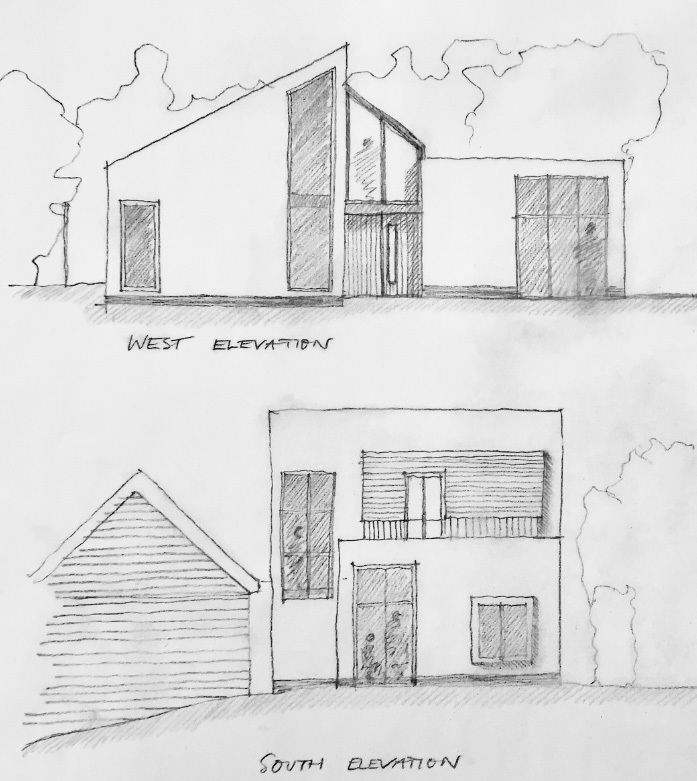 Architect Pippa Jacob is a member of Ipswich Sketch Club, a group that meet once a month to just drawing buildings. Here she explains why, despite the rise of computer graphics in architecture, putting pen to paper is still important to her. We generally assume that technological advances save time, boosting efficiency and increasing productivity. Indeed, it’s hard to imagine life without the convenience of our mobile phones, tablets and laptops. But in the world of architecture, sometimes the traditional way of doing things still has a place. And that’s how I feel about drawing. In the world of architecture, there is an enduring argument about whether hand drawing or computer-aided design is best. Both schools have their famous proponents. I suppose I fall somewhere between Graves and Schumacher. I studied architecture at the University of Portsmouth. Although my Dad (Nicholas Jacob) was an architect I had never considered it as a profession until I studied art at A-level and completed a project titled “The Built Environment”. The drawing element of the profession was what I loved – and still love – most. There is a romantic idea that architects sit at drawing boards all day but the job is far more complex than this. I do have the rare luxury of a drawing board next to my desk but the truth is a larger portion of my work is carried out on the computer. I can draw out my initial thoughts by hand but streamline them into a detailed design package using technology. This way I still get to exercise my creativity but I am using my computer’s tremendous ability to organise and present data, allowing me to bring visuals to life with 3D imaging and create complex construction documents for contractors. Over the centuries, a steady stream of technology has altered the way that architects work. Pencils, rubbers, ink, tracing paper, squared paper, rulers, technical pens… the list goes on. But the computer has made the biggest impression – allowing us to explore scores of alternatives rapidly before settling on a final solution. The trouble with this fierce productivity however is that it can stifle the imagination a little. After all, sketching forces you to go through a certain thought-process. Every stroke is deliberate and so it makes you pause and consider what it is you are doing and why. Perhaps this explains why I think striking a balance between the traditional and the modern is the ideal way to operate. I don’t believe architecture can divorce itself from drawing, no matter how impressive the technology gets. But I am not against the rise of technology in the industry either – it’s made our services sleeker, faster and ultimately saved time and money. I will continue to see computer software and hand drawing techniques as tools to be used separately and in conjunction with each other. And this way I hope to give my clients the best experience possible. http://www.london.njarchitects.co.uk/wp-content/uploads/2018/05/Pippas-sketches.jpg 781 697 NJ Architects http://www.london.njarchitects.co.uk/wp-content/uploads/2014/10/njalogo_large-e1415634265118.png NJ Architects2017-09-29 11:55:052018-05-23 13:35:45Do architects still put pen to paper?